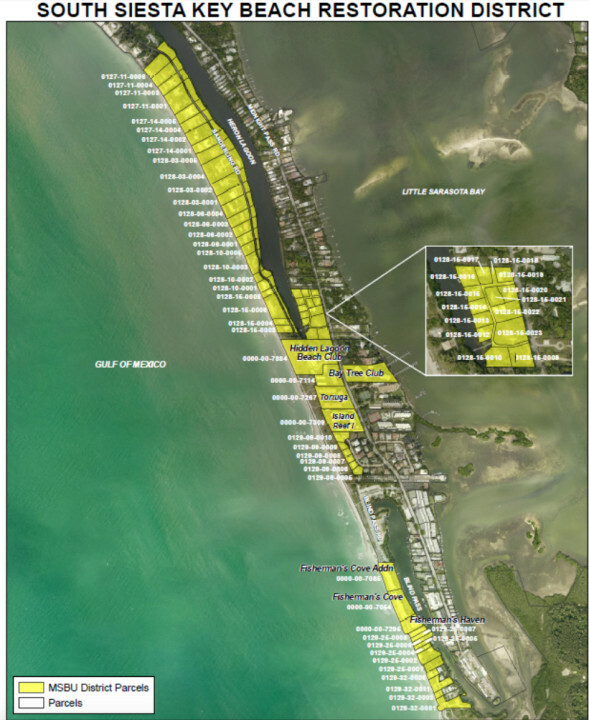 As part of its March 22 Consent Agenda, the Sarasota County Commission formally authorized a public hearing pertaining to the levy and collection of the non-ad valorem assessments that will help pay for the South Siesta Renourishment Project. The public hearing has been set for the morning of Wednesday, April 27, when the board will meet in Sarasota. A March 22 staff memo explains that the $21.5 million project on south Siesta is being paid for by Tourist Development Tax (TDT) revenue, a grant from the Florida Department of Environmental Protection (FDEP) and a bank loan. The latter will be repaid through the assessment revenue, the memo notes. By law, the memo explains, the board has to approve a resolution during a public hearing that declares a notice of intent for the levy, collection and enforcement of the assessments. Former Sarasota County Commissioner Nora Patterson explained numerous times to groups on the Key — before she had to step down from the board in 2014 because of term limits — that the beach would need to be renourished again just about the time property owners finished paying assessments for the first undertaking. The initial project was completed in 2007. The March 22 staff memo points out that those assessments were levied for seven years, beginning in 2008 and concluding with the 2014 tax year. A Dec. 9, 2015 staff memo says the assessments this time will total $3,536,237, or 16.51 percent of the overall project cost. 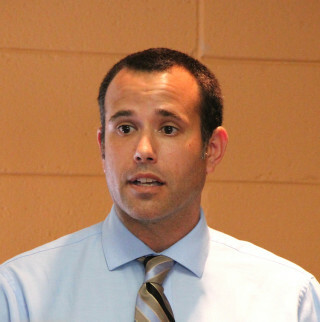 That is about an 80-percent increase over the previous amount of assessments, Matt Osterhoudt, senior manager in the county’s Planning and Development Services Department, told the board on Dec. 9. The March 22 staff memo says the new assessments will begin with the November 2017 tax bills. Staff held a third public information meeting on Nov. 19, 2015, the memo says; 22 property owners within the proposed project assessment district were present. “The majority of those in attendance favored the project moving forward on December 9, 2015,” the memo adds. On Dec. 9, 2015, the County Commission awarded the contract for the work to Weeks Marine of Covington, LA, and it authorized the borrowing of $3,677,000 to help pay for the project until the assessment revenue has been collected. 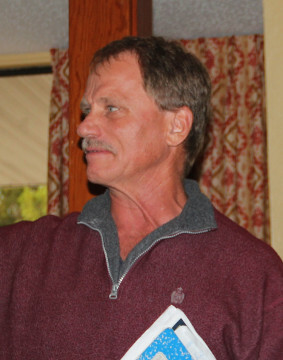 Siesta Key Association (SKA) members who have regularly attended meetings through the years are well acquainted with George Tatge, manager of beaches and water access in parks for the county’s Parks, Recreation and Natural Resources Department. 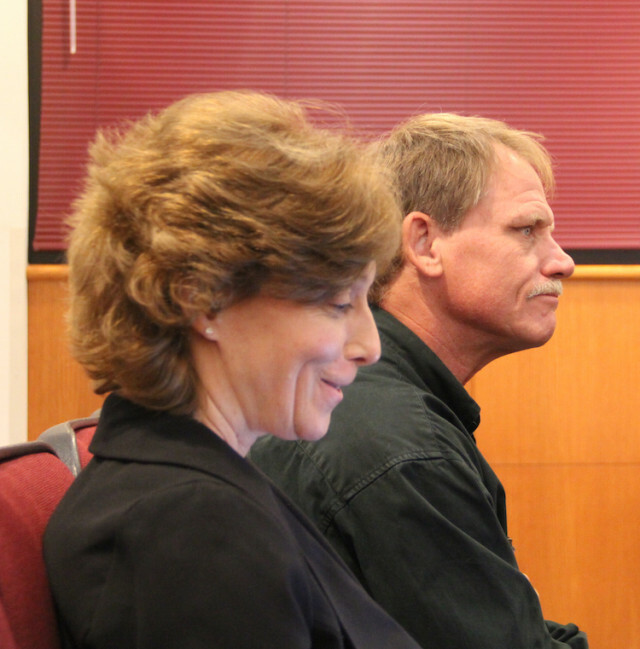 Tatge will be retiring from the county on May 31, he told the county commissioners during their regular meeting on March 23. Commissioner Carolyn Mason asked him what his final day would be, just after he completed a short presentation on a RESTORE Act pilot project for the county. (See the related story in this week’s issue). “George, you should have more of a sad face when you tell us,” Chair Al Maio chided Tatge after Tatge stated the date. “The rest of us are the ones that have the unbelievably sad faces,” Laird Wreford, the county’s coastal resources initiative manger, told the board members. “I have to do the same thing every day,” Wreford said. Tatge told the News Leader he will have been a county employee for 35-and-a-half years when he retires. In January, he made his latest appearance at an SKA meeting, when the program focused on the coming conclusion of upgrades to Siesta Public Beach. Tatge commented on his recollections about members of the organization offering suggestions for the $21.5 million project. Regular readers of this column may recall that Roz Hyman, treasurer of the Siesta Key Village Association (SKVA), voiced some concern about the availability of the Easter Bunny for the organization’s March 26 Children’s Easter Party and Egg Hunt. Have no fear, the Bunny will be there. Kay Kouvatsos, co-owner of Village Café, told The Sarasota News Leader this week that while volunteers were stuffing the eggs with prizes last week, in preparation for the event, Hyman indicated the problem had been resolved. And then Hyman herself confirmed that in a telephone call. “Hopefully, he’ll show up,” Hyman added of the latest volunteer for the traditional holiday responsibilities. 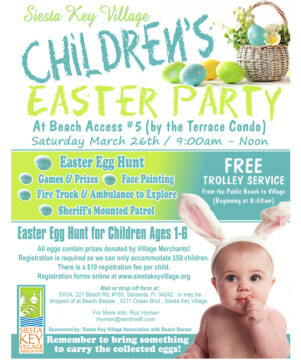 The fun for families will be held at Beach Access 5 beginning at 9 a.m. Along with the egg hunt, games, face painting and the Sheriff’s Office Mounted Patrol will be part of the annual festivities. The goodies in the eggs, by the way, have been donated by Village merchants. 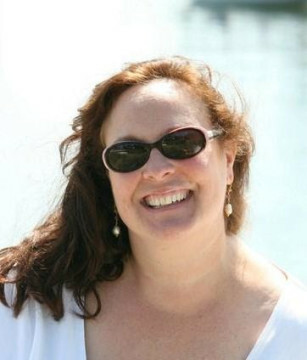 Ann Frescura, executive director of the Siesta Key Chamber of Commerce, announced on March 18 that the Chamber has welcomed Suzanne Roberge as its new membership director. During the March 1 Siesta Key Village Association meeting, Frescura reported that more than 70 people had applied for the job, and she had narrowed the field to about eight, with interviews to get underway very soon. Roberge hails from New Hope, PA, a news release says. She graduated from Emerson College in Boston with a degree in communications and has professional experience in public relations, radio, membership sales and event planning, the release adds. The Chamber may be reached at 349-3800; the office is in Davidson Plaza in the Village.